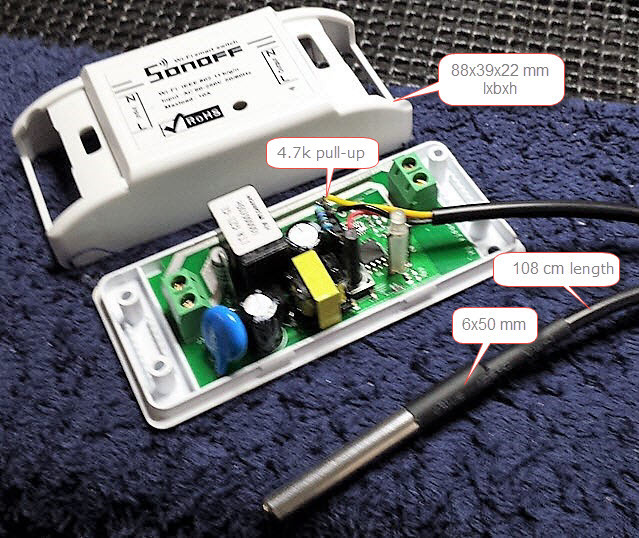 "Simple" and cheap, a ~$/€ 12.= Sous-vide with a Wi-Fi WebSocker Server and PID control. That's a Sonoff ESP8266 module with a waterproof DS18B20 Digital temperature sensor. Programmable over Wi-Fi with a ESP8266 WebSoket 1) Server and a HTML5-Client. - Use an electric kettle or rice cooker. 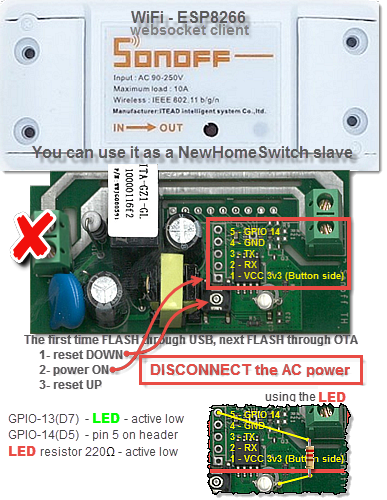 - Connecting to mains via the Sonoff. - Hang the sensor in the water. 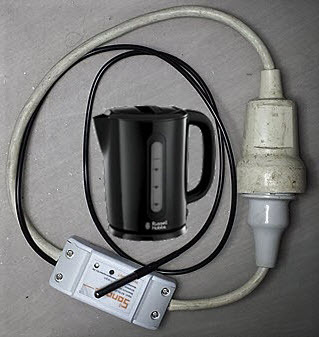 - Kettle/cooker power switch ON and set thermostat to maximum. 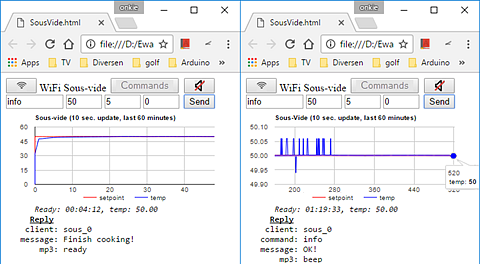 - Open SousVide.html in a modern browser (PC, Tablet, Smartphone). - Connect it to the Sous-vide Server. - See the temperature chart in your Browser and wait for MP3 signal. - Enjoy your meal - Bon appétit - Eet smakelijk. 1) WebSocket? : Real-time bidirectional event-based communication.